A couple of hours before Karl Lagerfeld’s Spring/Summer 2018 Fendi show, the reality television star Kris Jenner is backstage, dressed head-to-toe in turkey red and clucking proudly like a mother hen. Jenner is here chaperoning one of her many famous daughters, Kendall, who is modelling for Lagerfeld and has also done duty as Fendi’s ‘face’ in its advertising campaigns. She’s sitting in front of one of a double-flank of 20 illuminated mirrors in a space that normally houses Fendi’s staff canteen: twice a year, it is transformed into the nerve centre of the beauty looks for Lagerfeld’s biannual women’s ready-to-wear collections for the house. A feast for the eyes, pun intended. 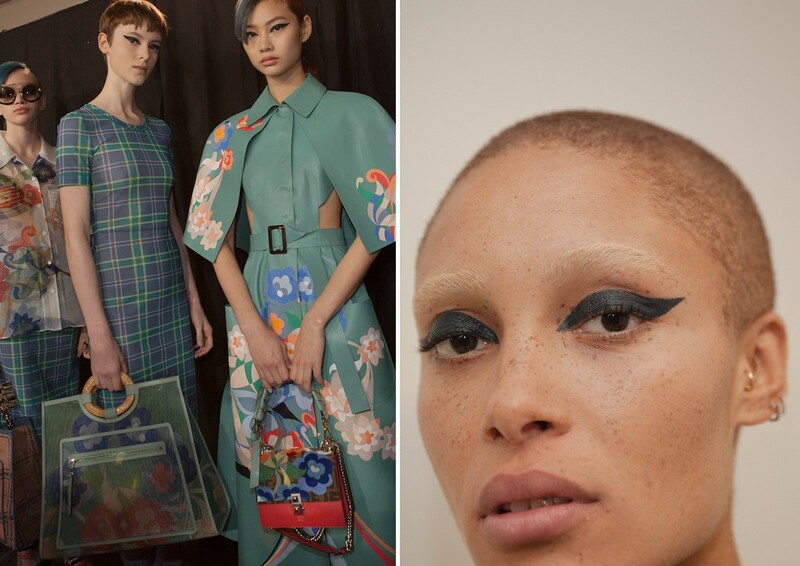 The beauty look at Fendi is derived by two of Lagerfeld’s long-term collaborators: Peter Philips and Sam McKnight, who have also worked with Lagerfeld at Chanel (McKnight continues; Philips ceased in 2014, but still works on Lagerfeld’s Fendi shows). 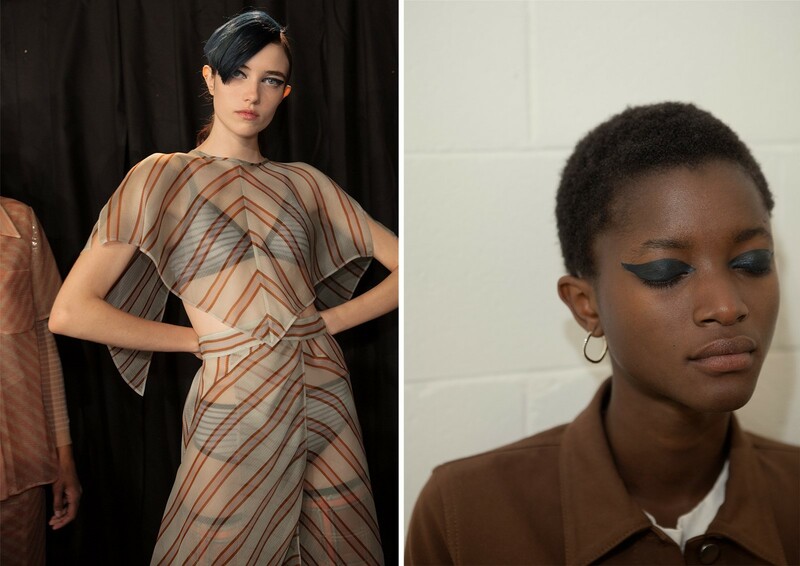 The processes, they assert, are worlds apart: while Chanel’s hair and make-up test takes place several days before the catwalk show (photographed by Lagerfeld, the resultant images form the dossier de presse issued to every guest at the show), Fendi is more spontaneous. Generally, the ideas are invented and cemented less than 24 hours before the show, at around 5pm each Wednesday afternoon (Fendi’s traditional Milan fashion week slot is 12.30pm on Thursday). “That is, unless Karl has a very specific idea,” says McKnight. “If Karl has an idea in mind, then we’ll get a drawing – a sketch, an idea of what the hair should be. This one was my suggestion last night – why don’t we add some colour? And make it really sharp.” McKnight has worked with Lagerfeld for a decade – his first gig for the polymath designer was Fendi, for the Spring/Summer 2008 advertising campaign. Later he began to work on both Fendi and Chanel, shows and campaigns. Today, as we talk, he fluffs the hair look for spring on model Vittoria Ceretti; it’s a sharp-cut, chrome-blue fringe, atop a sleek pulled-back ponytail. 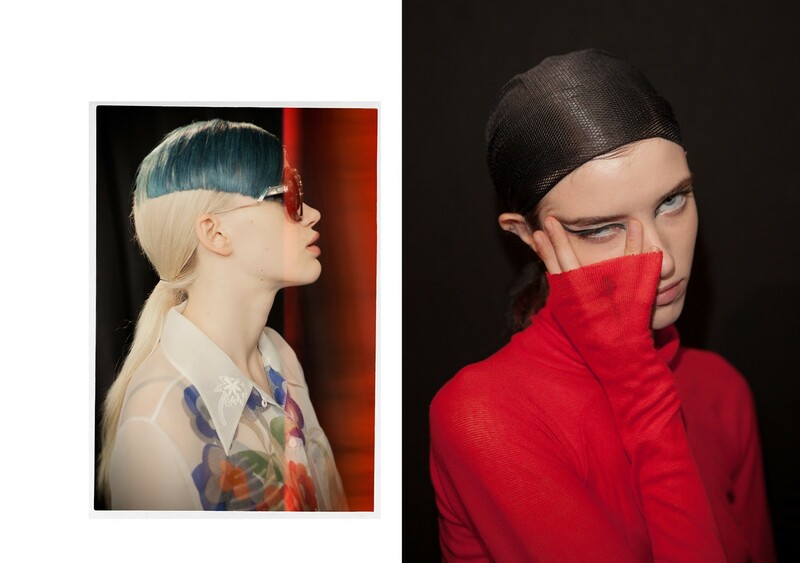 Each is a different oil-slick colour, contrasting with the models’ natural hair. It’s a hairdo as patently artificial as President Donald Trump’s. Fendi’s look, generally, is sharp, graphic, modern. It’s a point of differentiation with Lagerfeld’s other famous gig – Chanel. If there’s so often a sense of time and place to the latter’s collections – of the dirndls and loden of Salzburg, where he staged his Métier d’Arts show in Winter 2014; or of Gabrielle Chanel’s luxurious clothes of the 30s, reimagined in the lush enclaves of the Paris Ritz last December – it’s because they’re pulled from the life of Gabrielle, from the eras and locales she passed through. 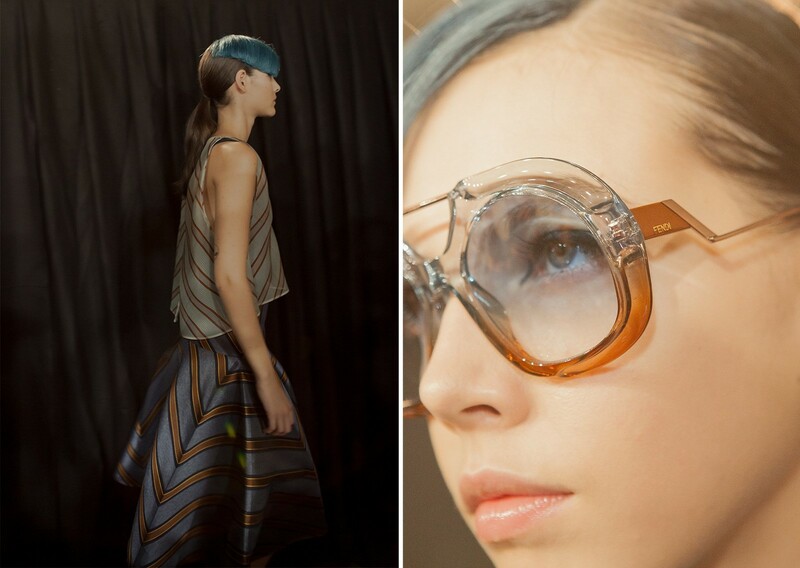 At Fendi, though, everything is abstract – ideas, shapes, graphic notions. 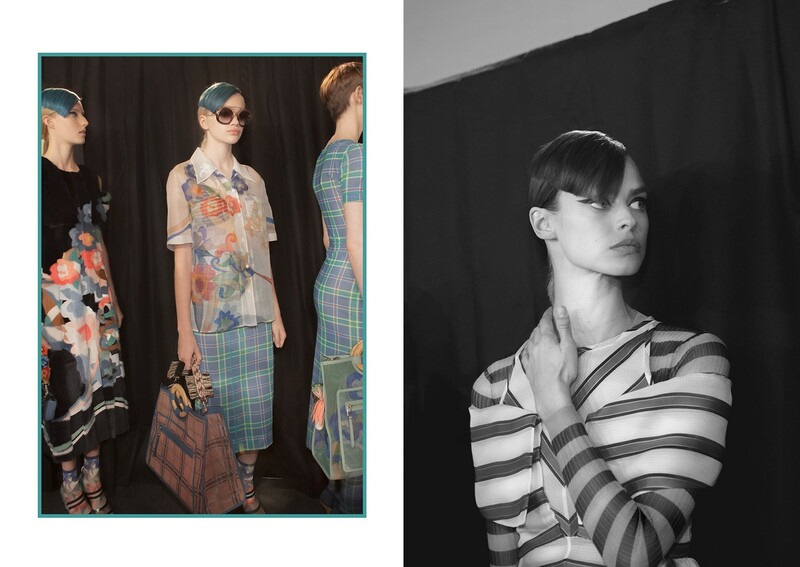 Futurism and Modernism – this spring, graphic stripes and checks chopped up the body, alongside the right-angled Fendi double-F logo running riot. It was about shapes and colours, not times and places. Then, suddenly, you re-see Kris Jenner, and realise McKnight has, perhaps subconsciously, given them all her signature swipe-over hairdo. 45 minutes before the scheduled start time, Lagerfeld’s Fendi models file out onto the catwalk and begin to run through their rehearsals. A Caribbean mood (thanks to all that blue) is underscored by Michel Gaubert’s soundtrack, which breaks out into a lulling tune reminiscent of The Love Boat (“But only at the very end,” states Gaubert, dressed as loudly as his music in a shocking pink jacket). The Fendi venue, a vast oblong hall, was zigzagged with triangular patterns (more graphics) in cruise ship pastels. “Futurism meets tropical travel,” assert the show notes. Then, he returns to the canteen, to finish cooking up more Fendi combovers.